Some new solid color stains have been introduced in the last few years and are better than previous brands due to enhancements in technology. Less wear and peeling when tested. 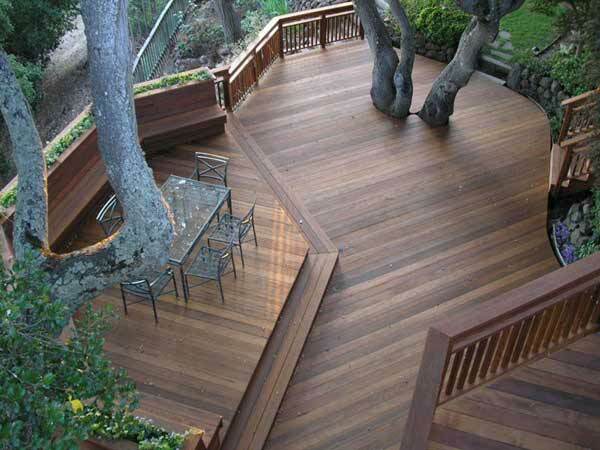 We always appreciate your input, so feel free to leave a comment below with pictures of your solid deck stain projects. 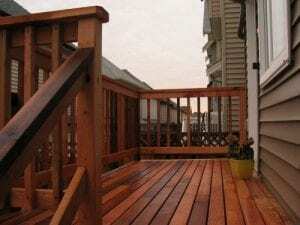 Our favorite deck stains have always been the penetrating semi-transparent stains. These stain types allow the wood grain to show and if they truly soak into the wood grain, reapplying is easier down the road. 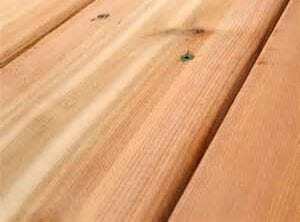 Solid color deck stains have always been a “last resort” coating in our opinion. 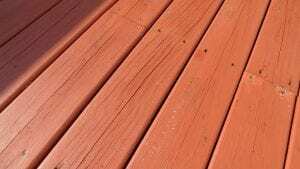 We have not been huge fans of the appearance or performance of solid deck stains but do understand that there is a need for them. That being said, there are some really good solid color deck stains on the market for 2019. 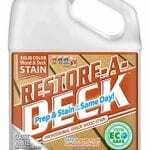 See here for tips on when best to use a Solid Opaque Deck Stain: When to use a Solid Color Deck Stain? 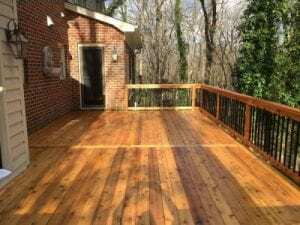 Restore A Deck Solid Color Stain will be our go-to Solid Color Stain for 2019 due to its ease of use, 5 pre-mixed solid colors (the only solid stain on the market that comes pre-mixed), and the ability to prep and stain on the same day. 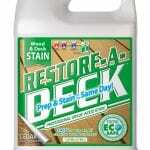 Note: Restore-A-Deck Wood Stains are the only stain we have tested can be applied to dry or damp wood. Applying to damp wood allows you the ability to prep and stain on the same day, saving you a tremendous amount of time. 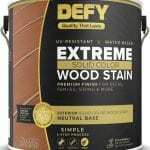 DEFY Extreme Solid Color Wood Stain is a synthetic-resin, opaque wood and deck finish that helps protect against water, mildew, mold, algae, and UV radiation on exterior wood surfaces. This V.O.C. compliant water-based product provides a beautiful finish, fortified with transparent “oxide” based Nano Particles. There are over 30 TRILLION nano-particles per square inch that provide extreme protection for your wood by blocking out the sun’s harmful UV rays, moisture and fungal growth. Available Custom-Mixed Solid Colors: Custom tinted to any color. 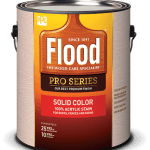 Flood Pro Series Solid Color Stain is an advanced stain and sealant in one that protects wood from moisture and sun damage while adding rich, opaque color. 100% acrylic formula provides excellent adhesion and durability. Urethane-fortified to resist cracking and peeling. Rain resistant finish within 12 hours. Powerful UV absorbers protect against fading and UV damage. Provides a mildew-resistant finish.